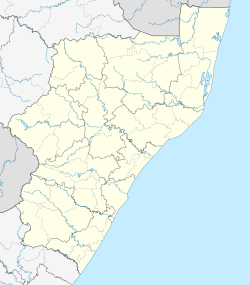 Park Rynie is a small resort town on the South Coast of KwaZulu-Natal in South Africa. It was established in 1857 and possibly named after Renetta (nicknamed Rynie) Hoets, wife of one of the John Phillip Hoffman, partner in the firm Nosworthy & Co. that bought the original farm for development. There was a whaling station here built during World War I, Park Rynie Whales Ltd. A breakwater, Rocky Bar Pier and a landing ramp were also built. 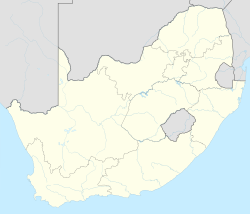 Neighboring towns and settlements include Scottburgh, Rocky Bay, Pennington, and Umzinto. Indian South Africans are the single largest population group in Park Rynie. ^ a b c d "Sub Place Park Rynie". Census 2011. This page was last edited on 6 April 2019, at 16:10 (UTC).